Celestyal Cruises has always been one of the most trusted cruise hosts in the industry. Embark on a getaway with Celestyal Cruises and get tons of generous on-board amenities, a helpful service staff, and a truly uncommon fleet. Red Hot Cruises contains one of the largest selections of cruises with Celestyal Cruises at great prices. 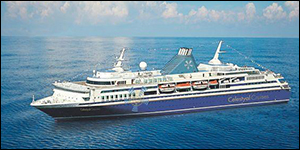 On this page, you can see all destinations, departures and ships available with Celestyal Cruises. Availability is usually limited, so buy online with us quickly to ensure your cruise with Celestyal Cruises before they are gone. Give us a call at (844)235-4177 or email us to talk with a vacation pro and we will help you find what you’re looking for.